As passionate users of Britain’s waterway, especially those in and along the south coast, keeping open waters clean and safe to use is incredibly important to us at TJBoardhire. 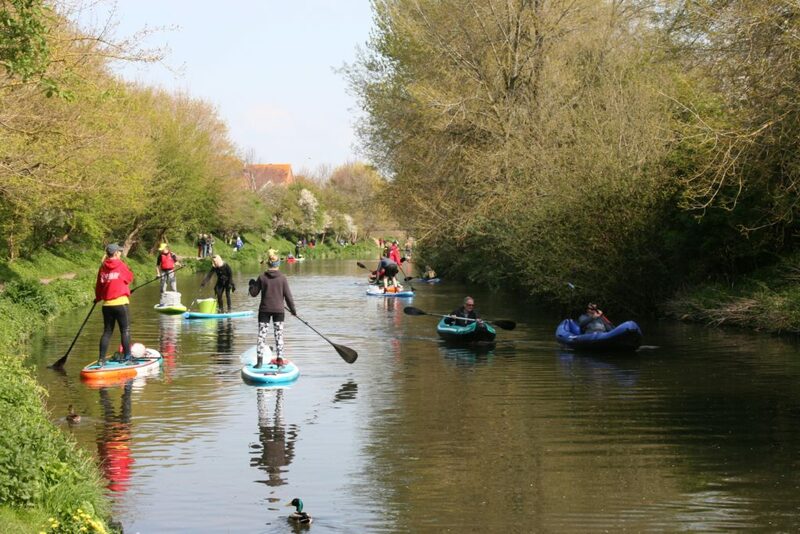 In fact, it is part of our Chichester SUP Club’s ethos to pick up any litter whilst we are paddle boarding, keeping the water clean for other users, and, most importantly, the wildlife. It is also why we are proud to have been part of Surfers Against Sewage’s (SAS) big clean-up weekend. 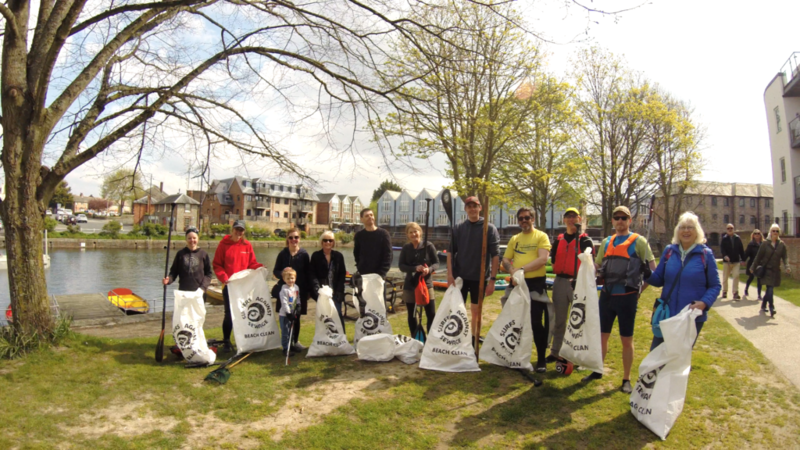 On Saturday 13thApril, after a short social media campaign, we focused our attention on the Chichester Canal Clean, the premier venue for our Chichester SUP Club and where we offer all of our beginner lessons. 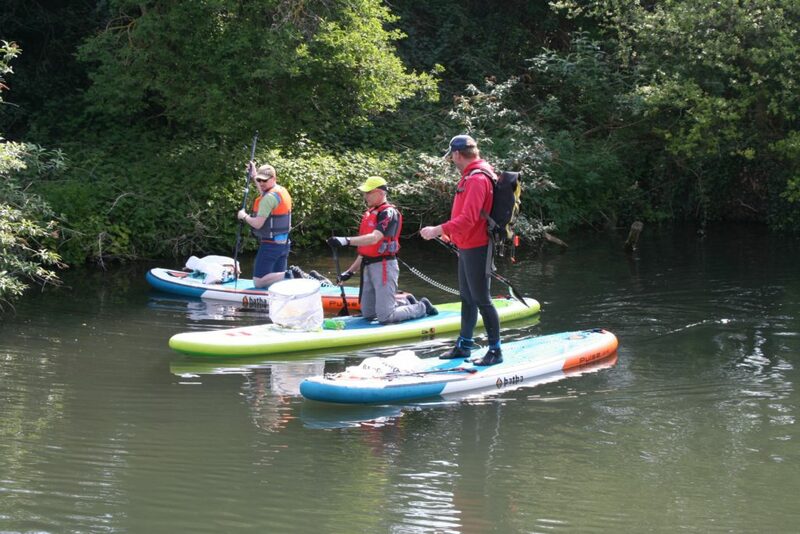 Though it was a beautifully sunny day it was also very cold, so we were delighted to see 15 paddle boarders and 2 kayakers, along with several people on foot joining us, all braving the low temperature and keen to get stuck in. There was time for a quick catch up while the paddle boards were being inflated. Just before everyone launched off on to the water, we delivered a safety talk making sure everyone knew to respect the local wildlife, be aware of boats on the water and other Canal users. We left Hunston around 10am and after a quick race with swan, a race, may we add, the swan won easily, we took a slow paddle down to the Canal Basin. It’s a trip that usually takes between 30 and 40 minutes but this time, however, it took a little longer. Clocking in at just over an hour. It was well worth taking the extra time. That said, when everyone had got off at the Canal Basin, the cold weather had well and truly settled into everyone’s bones alongside the sense of satisfaction from removing litter from the Canal’s banks and water. Still, being cold certainly made you appreciate that hot drink all the more! In the Cafe, over cake, there was a lot of talk of how clean the Canal seemed and how we had all had to really hunt for rubbish. 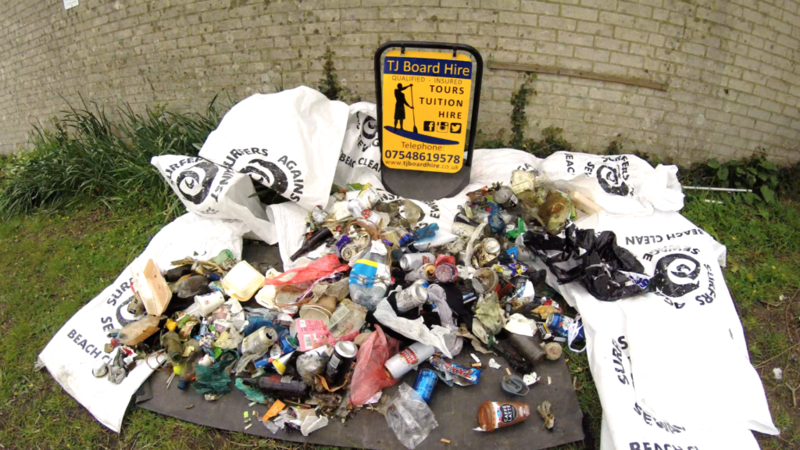 Not overly surprising as users of Chichester Canal are often seen picking up litter to dispose of it properly. After the paddle back to Hunston, we returned home to inspect our hoard. Our team had fished out more rubbish that we had realised, mainly a vast array of beer cans and bottles, although remains of a wedding dress and bra were also found. Must have been quite a night. To be honest, it was sad to have fished out that amount of rubbish in this day and age. But we are glad we could play a small role in keeping the Canal that little bit cleaner. 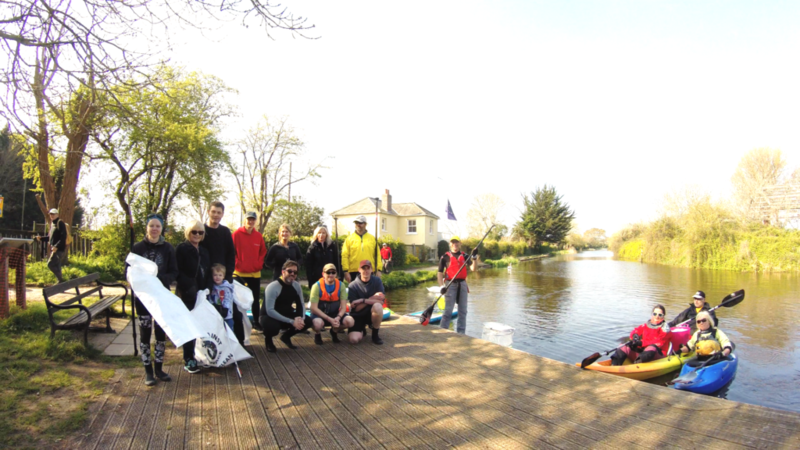 We owe a big thank you to all of those that came out and gave your time on a Saturday morning to support us on our SAS Chichester Canal Clean, supporting our Club and making a small difference. We really appreciate it and look forward to seeing you at a social paddle soon. If you’re interested in learning how to paddle board, or just want to try something new, well, the season has well and truly started. Feel free to drop us an email at tjboardhire@outlook.com and get yourself booked in.